Michael Penn was born on August 1, 1958. His brother is the actor Sean Penn, who was married to Madonna for some time. 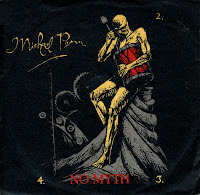 'No myth' was his debut single, released in late 1989. It became his first and only top 40 hit in the US Billboard Hot 100, peaking at number 13. The single did not chart in Europe. After only a few solo albums, Penn moved into movie scores, recording music for movies like 'Boogie nights' (1997) and 'The last kiss' (2006).